Configure-price-quote software (CPQ) has a long standing history of technological change. Starting in the 1980s, CPQ began as a tool to help sales reps manage how customers choose their product specifications. Since then, the software has seen many changes including automation and quote generation to improve business results and sales team efficiency. As we look ahead to 2018 and beyond, our team is taking in the trends and is hard at work developing the next iteration of CPQ solutions. We know the state of technology is changing at a rapid pace, and there's no doubt that CPQ solutions need to keep up. Here at Axonom, we’re already ahead of the curve with our cutting-edge 3D configurator with virtual reality experiences, integrated analytics, and other product offerings. But there are more innovations on the horizon that we have our sights set on. Below, we explore the future of CPQ solutions and how they will affect businesses of tomorrow. Forty-one percent of consumers believe artificial intelligence makes their lives easier. AI also opens up new opportunities for business growth by increasing productivity by 40%, allowing your employees to use their time more efficiently. Artificial intelligence and machine learning enable software, technology, and machines to observe and act—either with or without a human counterpart. When it comes to CPQ, it has the potential to save valuable time for sales teams and speed up the configuration process for customers. We predict that in the not too distant future, an AI-powered CPQ could perform automatically without the direction of a sales rep. This would allow sales reps to focus on inbound or outbound sales instead of e-commerce. In addition, AI would record a customer’s purchase history to suggest relevant products when they return and automatically configure their orders to match past needs. Today, CPQ accomplishes this through its rules engine—something that we've been perfecting since our inception. But the CPQs of tomorrow will accomplish this by observing, anticipating, and acting on customer behavior—and we're certainly looking to combine the two. According to ComScore, 50% of all searches will be through voice queries by 2020. Voice search, commands, and personal assistant technology are changing our lives through tools like Siri, Amazon Echo, Google Home, and more. Because voice search and commands are more natural, fast, and intuitive than typing, it will become a staple technology in the business world. So, instead of configuring products with a mouse and keyboard or a drag and drop editor, customers could configure products using their voice. This faster, more natural way to configure products will only help improve the customer buying experience and increase their satisfaction. In addition, sales reps can also benefit from voice commands. By operating through swift voice commands, reps could save valuable time and energy. Today’s customers live on their mobile devices with 57% of all search traffic now happening on a mobile device. It’s important that your customer’s buying experience is built for mobile devices first and foremost as this trend will only continue to grow. And when you manufacture whole rooms or large machinery, it can be challenging to scale the customization portion of your buying experience down to a mobile device without losing key features like 3D configuration. CPQ technology in the future needs to works across all channels, devices, and browsers regardless of the product’s scale. Our own Powertrak CPQ software is optimized for use across any channel, device, or browser thanks to responsive technology. Regardless of the features you use, they won’t be lost when scaling down to a mobile or tablet device. Past evolutions of CPQ solutions have introduced product visualizations. The introduction of 2D product configurators allowed customers to accurately see the specifications of their custom products, resulting in increased customer satisfaction and a more rewarding customization process. Eventually, drag and drop functionality and 3D configurators also helped to improve the experience. But now, there are new visual technologies making waves, including augmented and virtual reality. 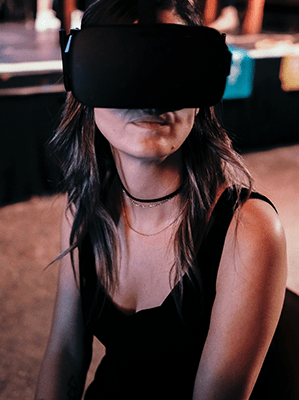 With the introduction of VR and AR technology, CPQ software solutions will offer an immersive configuration experience. Especially for larger products like furniture, operating rooms, and heavy machinery, AR and VR technology will allow customers to see accurate, life-like depictions of their products in real-time. Through painting a more complete and accurate picture of their custom orders, customers will be more satisfied with the order they receive. The state of technology is moving fast and your CPQ solution needs to keep up with the pace to ensure your customers are left with a state-of-the-art buying experience. With VR, a robust rules engine, advanced automation, and more features to come, Powertrak CPQ software is equipped for the future. Find out how we can help advance your e-commerce business by requesting a product demonstration today.